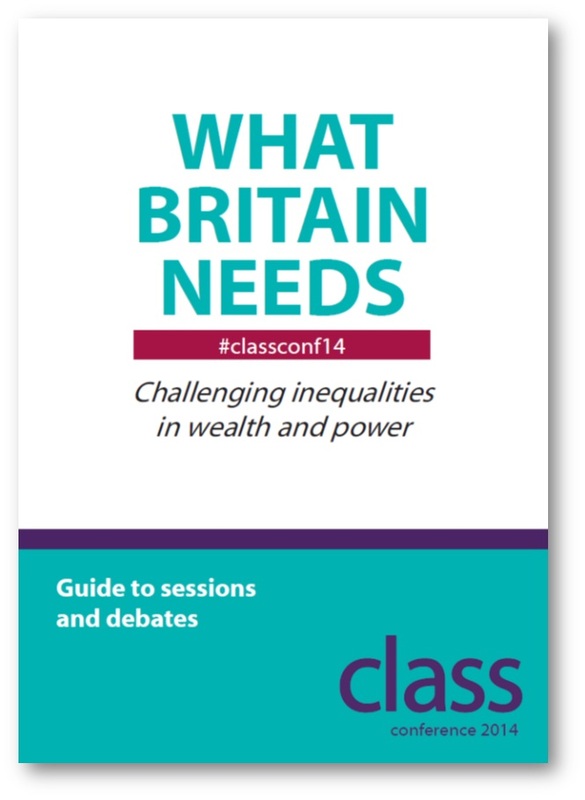 You can now download the guide to sessions and debates at Class Conference 2014 - What Britain Needs. Whether or not you are able to make it on the day - we want to hear from you. Download the guide to debates ahead of the event to see what sort of issues the sessions will cover. You can download all of the Class papers mentioned for free from here. For those not able to make it send your questions for speakers to info@classonline.org.uk or on Twitter using the hashtag #Qclassconf14. We will try to make sure as many are asked as possible. After conference - send us your thoughts on the debates that took place and where you think we should go from here. Email info@classonline.org.uk. Full information, speakers and how to book your tickets can be found on the conference website. Tags: class, collective bargaining, economic alternative, education, equality, fair economy, food banks, health, housing, housing market.